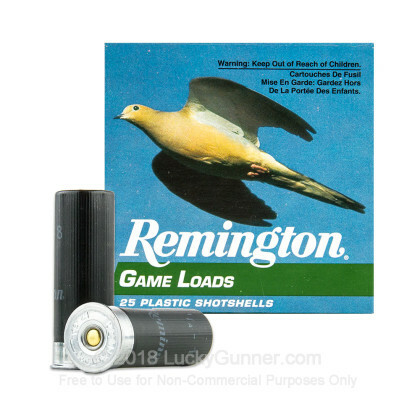 Remington’s Game Loads line of ammunition is a versatile and affordable way of getting the most of your time spent in pursuit of upland game. 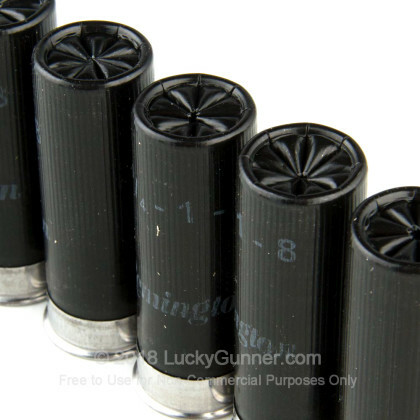 In spite of a price tag which makes it so suitable for daylong shooting, this 12 Gauge shotshell’s components are thoroughly up to snuff. You’ll find its solid hull can take all the abuse a hunt could throw at it, and that it’s perfect for repeated reloading. 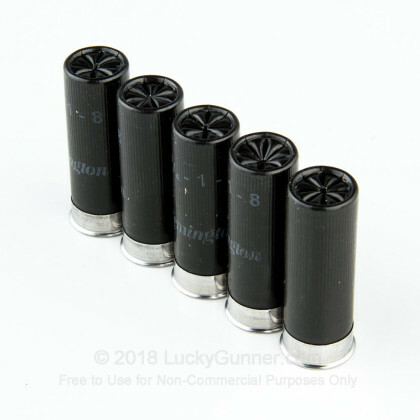 Its primer reliably ignites its clean burning propellant, and its wad serves to deliver a consistently accurate shot with every trigger pull. 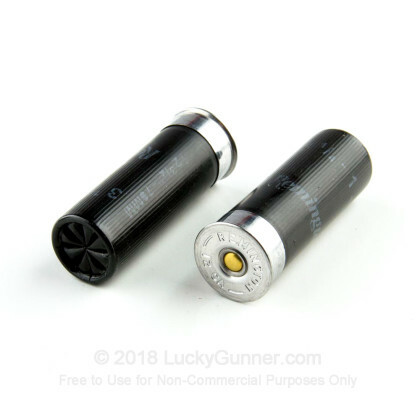 This shell is loaded with a full ounce of #8 lead shot. 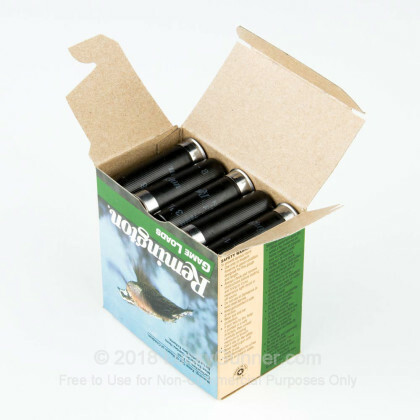 The .09” diameter pellets are spherical to let them fly true, and hard to let them stay spherical. The spread which #8 shot delivers at about 100 feet is ideal for dropping small game like quail and dove, but not so powerful as to pulverize them on impact. With its 1,290 fps muzzle velocity you’ll not have to lead your aim too much while firing this shell, and have ample power to make a clean kill downrange. 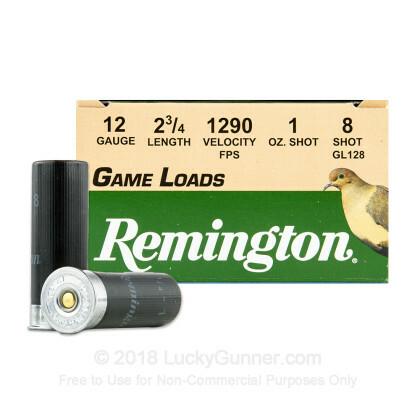 We also have this 12 Gauge - 2-3/4" Game Loads #8 Shot - Remington - 25 Shells ammo in stock in a smaller quantity.